Samsung Compare Trade in prices to Sell My Samsung Galaxy Note Pro 12.2 3G P901 in Brand New Condition for 💰 Cash. Best Value for My Samsung Galaxy Note Pro 12.2 3G P901 for Online Recycling. Get Paid within 24 hours! Compare prices for your Brand New or Unwanted Samsung Galaxy Note Pro 12.2 3G P901. Cash out today by getting the best quote online for your Brand New Samsung Galaxy Note Pro 12.2 3G P901 that you no longer need and would like to sell. Find out how much your brand new Samsung Galaxy Note Pro 12.2 3G P901 is worth and select your prefered buyer. I want to sell my new unwanted Samsung Galaxy Note Pro 12.2 3G P901. How much can I sell it for? Mazuma Mobile and 0 other recyclers will buy your brand new Samsung Galaxy Note Pro 12.2 3G P901. You can also check if they buy faulty/damaged Samsung Galaxy Note Pro 12.2 3G P901. Can I sell my damaged Samsung Galaxy Note Pro 12.2 3G P901 for cash? How many Brand New Samsung Galaxy Note Pro 12.2 3G P901 can I sell to Online Phone Recyclers? 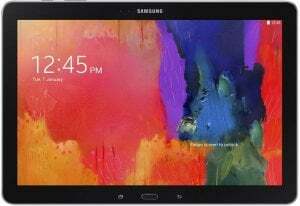 What stores buy Brand New Samsung Galaxy Note Pro 12.2 3G P901 for cash?